Here’s where the original modular design of the IBM PC (all those many, many moons ago) comes in handy. If your computer didn’t come with eSATA, Thunderbolt, or FireWire ports, you’ll find that adding new ports to your PC is as simple as plugging an adapter card into a slot in the back of your motherboard. A typical eSATA card costs around $50 US and gives you two eSATA ports. Follow these steps to do it the right way — once! 1Cover your work surface with several sheets of newspaper. Turn off your PC, unplug it, and place it on top of the newspaper. 2Remove the case screws and slide the case off, and put the screws aside in a bowl or cup. If you’re unsure how to remove your PC’s case, check the manual that accompanied your computer. 3To dissipate any static electricity, touch a metal surface before you handle your new adapter card or touch any circuitry inside the case. Static electricity is important to watch out for. Touch the metal chassis of the computer. 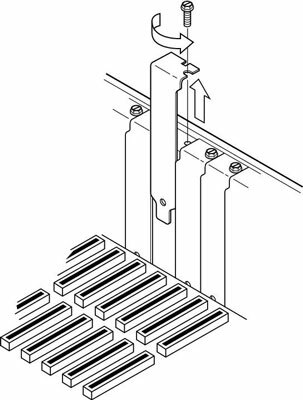 4Locate an adapter card slot of the proper length at the back of your computer case. 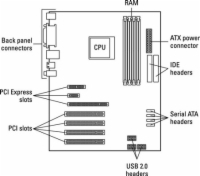 You want to use a Peripheral Component Interconnect (PCI) slot, which is the standard adapter card connector in today’s PCs. 5Remove the screw and the metal slot cover at the back of the case. Because you don’t need these items again, put them in your spare parts box. 6Pick up your port card by its top corners, and line up the connector on the bottom of the card with the slot on the motherboard. The card’s metal bracket should align with the open area created when you remove the slot cover from the back of your PC. Never try to force a connector into a slot designed for another type of card! For example, PCI Express video cards have different types of connectors, and they don’t accept PCI cards. 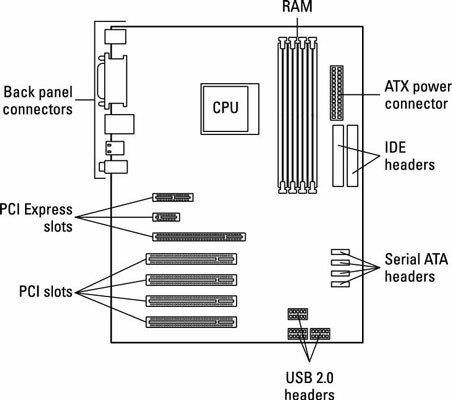 If you need help determining the location of your PCI card slots, check your motherboard manual. 7After the connector is aligned correctly, apply even pressure to the top of the card and push it down into the slot until the bracket is resting against the case. Place the screw in the corresponding hole in the bracket and tighten it. 8Place the cover back on your PC and replace the screws that you saved earlier. You can now plug your PC back in and turn it on. 9Run the installation disc that came with your port card or load the driver disc when prompted by Windows. Don’t forget to check the manufacturer’s website for new Windows 8-specific drivers!